“The unleashed power of the atom has changed everything save our modes of thinking, and thus we drift toward unparalleled catastrophe.” – Albert Einstein, 1946. “To hell with these maniacs.” – Premier Nikita Khrushchev, talking about his military advisors during the Cuban Missile Crisis, 1962. “The nuclear bomb, does that bother you? I just want you to think big Henry, for Christsakes.”– President Richard Nixon to Henry Kissinger, discussing how to respond to a North Vietnamese military offensive, 1972. “They will be met with fire and fury like the world has never seen …”– Donald Trump, addressing the North Korean leadership in August, 2017. “War deprived us of our happy lives,” and “war should not be repeated.”– Kasaoka-San, Hibakusha, June 10, 2018. In June, I travelled to Hiroshima, Japan, with two friends. 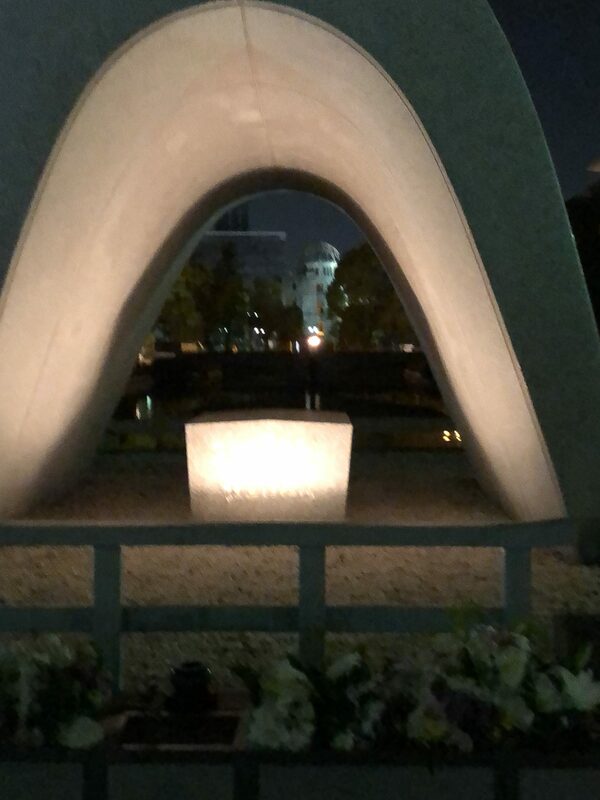 We stayed at the World Friendship Center, an organization established to promote world peace in the aftermath of the first use of the atomic bomb on a civilian population. The US dropped the atomic bomb on Hiroshima on August 6, 1945 and on Nagasaki two days later. The Center has a small guest house and is currently run by two long-time Urbana folks, Dannie Otto and Barb Shenk, who are in the middle of their two-year volunteer engagement. 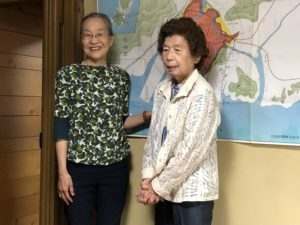 As of last year, there were still about 165,000 survivors of the initial 650,000 Hibakusha, literally “explosion-affected people.” The Center regularly brings Hibakushato speak at its guest house, and we were honored to hear one of these personal stories. The Center also holds English classes, translates Hibakusha stories, runs a Peace Ambassador Exchange with the US and South Korea, provides Peace Park tours, holds peace seminars, sponsors a peace choir, and runs a peace camp for young people from Japan, Korea, and China. They also organize regular volunteering at a local nursing home. Our Hibakusha talk was given by Kasaoka-San, who was a school girl when the bomb was dropped. 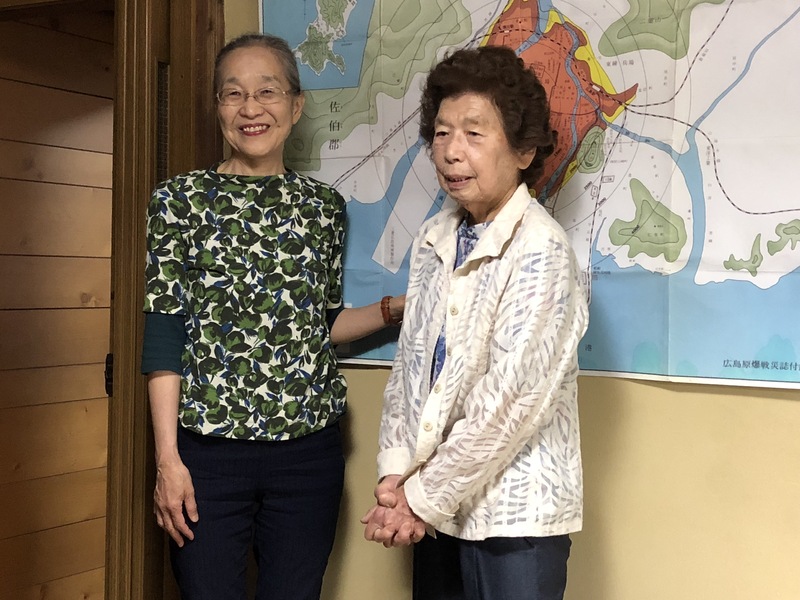 She told us that although Hiroshima was a larger city before World War II, many were sent elsewhere to escape the expected firebombing that was devasting other Japanese cities. The population was about 350,000 when the bomb exploded, and about 140,000 died by the end of the year from the initial blast, the heat rays, and radiation. The bomb was exploded 600 feet above the city, which brought the ground temperature at the hypocenter to 3000-4000 degrees Celsius. Kasaoka-San only survived because she stayed home sick on the day of the blast; she was 3.5 km. from the hypocenter. The rest of her school class all died. Schoolchildren had been put to work supporting the war effort. Third- and fourth-year high school students worked in munitions factories, and first- and second-year students were either doing agricultural work or creating fire-break areas by demolishing houses in the city center. Her class was demolishing houses when they died. Of 8000 students doing this work, 6300 died. Kasaoka-San’s parents also died, her father lasting two more days, in agony from his burns. Even though she was 3.5 km away, Kasaoka-San lost consciousness from the blast, and then developed severe skin eruptions and anemia. The A-bomb orphaned more than 5000 children, some of whom became street children. Kasaoka-San eventually was able to marry another Hibakusha, but he died at the age of 35 from spine cancer. Kasaoka-San confided that she initially felt hatred for the United States, but after seeing all the international aid that came in, including from the US, she eventually realized that it was the bomb that she hated, not the country that dropped it. And she readily acknowledged at the beginning of her talk that Japan had invaded other Asian countries, and that they were not only victims, but initiators of war crimes. In January, 2018, the Bulletin of Atomic Scientists set the Doomsday Clock to two minutes before midnight, the closest to midnight, the symbolic point of annihilation, since 1953. 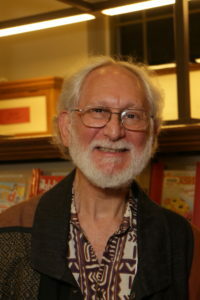 Their report noted increasing tension between the US and Russia (including NATO military exercises at the Russian border), Trump’s withdrawal of the US from the Iran nuclear deal, the new race to “modernize” nuclear weapons (Trump proposed $1.7 trillion for this), and North Korea’s progress in developing nuclear weapons. There are currently nine nuclear states with around 15,000 nuclear weapons, and an additional five NATO states share these weapons. And, according to Betsy Taylor, writing in The Nation, there are 59 more countries that possess the capacity to start such weapons programs. Furthermore, consider the dangers from lost or stolen nuclear materials, terrorist acquisitions of nuclear materials, and accidental use, which could happen at any time. In The Doomsday Machine: Confessions of a Nuclear War Planner, Daniel Ellsberg’s new book, he documents numerous times that only luck prevented the launching of US nuclear weapons. And he lists 25 cases where the US threatened their use. He also alerts us that, incredibly, there is no code for stopping the missiles once launched. If that is not frightening enough, he also explodes the myth of the President’s sole authority to launch a nuclear attack. In reality, authority has been delegated to top military officials because of possible communications problems. These top military officials have in turn delegated their authority down the chain of command to officers who are daily out of communication range. In effect, there are numerous people throughout the world that could launch a US nuclear attack. When we add that nuclear missiles are still on hair-trigger alert in the US and Russia, we can see the urgency of dismantling this “Doomsday Machine,” to prevent a momentous catastrophe, an outcome that has so far only been prevented by blind luck. The Cuban Missile Crisis of 1962 is often cited as the time the world came closest to nuclear war. 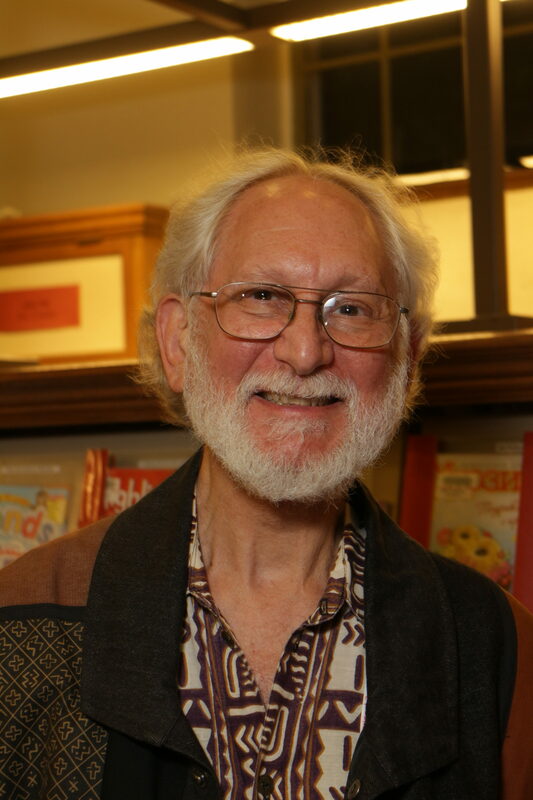 But, until Ellsberg’s book, the world knew little of the frightening story behind the story. Both Kennedy and Khrushchev were determined to prevent a nuclear war, but events got out of control on both sides. First of all, President Kennedy and the Pentagon had no idea and could not imagine that Premier Khrushchev and the Presidium of the USSR had given authorization to their local commanders in Cuba to fire the missiles in the event of communications problems. The American government had no idea that the USSR had sent over 100 smaller “tactical nuclear missiles” to Cuba, which were more likely to be fired in a moment of panic. They also had no idea that Soviet submarines off Cuba had nuclear missiles on board, while the US was targeting these submarines. To prevent a misunderstanding, the US military told the Soviet military that they would signal the submarines to rise by dropping grenades, but that information never got to the submarine commanders, who thought they were under attack. Furthermore, the submarines were designed to be used in frigid water, and the crews were coping with unbearable 140 degree temperatures inside. And then a U-2 reconnaissance plane got confused by the Northern Lights and mistakenly flew over the Soviet Union. It could easily have been mistaken for a US bomber. This trip to Hiroshima put a personal face on the horror caused by the dropping of nuclear bombs on cities. The leaders of all nuclear-armed states should be required to visit the Hiroshima Peace Park. Daniel Ellsberg concludes that just the existence of nuclear weapons is an intolerable threat to the world’s survival. This entry was posted in Cuba, Foreign Policy, Hiroshima, military, Nuclear War and tagged Hiroshima, Nuclear War. Bookmark the permalink.